The summer’s most style-savvy movie is a cartoon. Another standout in a smartly outfitted cast that makes this one of the most style-savvy movies you’re likely to see this year is Evelyn Deavor, a 21st-century tech wizard, who wears her hair in a ragged auburn thatch and has a marked predilection for gauzy man-cut shirts and wicked ankle boots. She is inspired in part by Patti Smith and Annie Lennox, and boasts no fewer than 20 distinct costume changes, crazily extravagant by cartoon standards. “The house was a character in the film,” says Ralph Eggleston, a Pixar Animation Studios director and production designer. A riveting fusion of the fantastical and real, it is perched over a waterfall, its opulent landscape echoed in interior features including the stream that meanders from room to room and continues underneath the house, traveling all the way to Municiberg, the film’s metropolitan hub. Floor-to-ceiling windows offer panoramic views. 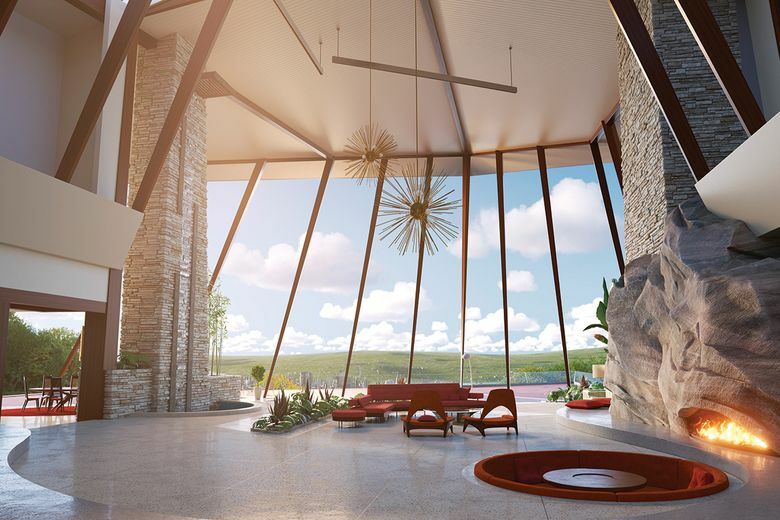 It’s a retro-futuristic superhouse complete with a fireplace masking a secret garage where Helen stows her Elasticycle; a space-age mobile that hovers over Jack-Jack’s crib; a conversation pit in the great room; and movable floors that slide open to reveal an assortment of reflecting pools. Like Edna, the house is a composite, its chief influences including the James Evans house in New Canaan, Connecticut, with its cantilevered angles, and, Eggleston says, James Mason’s house in the movie “North by Northwest.” Its rambling public rooms are wildly theatrical, its more compact ones suggest an unexpected intimacy, and its over-the-top decorative features offer opportunities for any number of pratfalls. The house’s chief inspiration, Eggleston says, was the lavish modernist setting in the 1968 Blake Edwards film “The Party.” In that movie you see Peter Sellers lose his shoe in one of the reflecting pools. 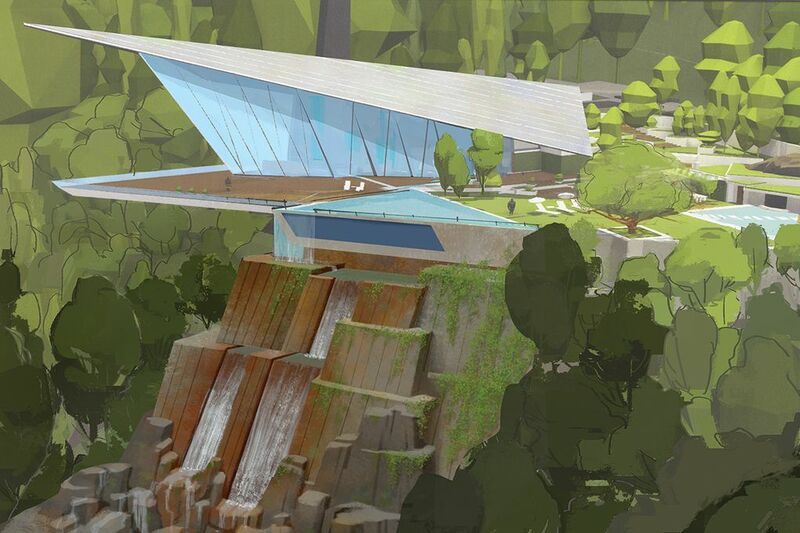 It’s a scene that’s paralleled in “Incredibles 2” when Bob stumbles over one of the house’s oddly placed mini-lagoons.